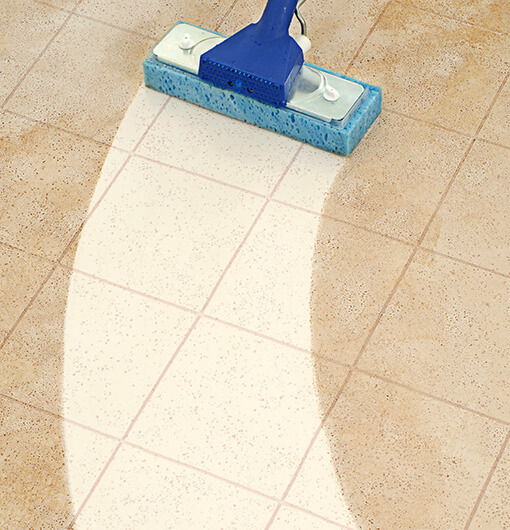 From terracotta tile flooring to granite countertops, the right surface can transform a home or business, enhancing visual appearance and adding value. 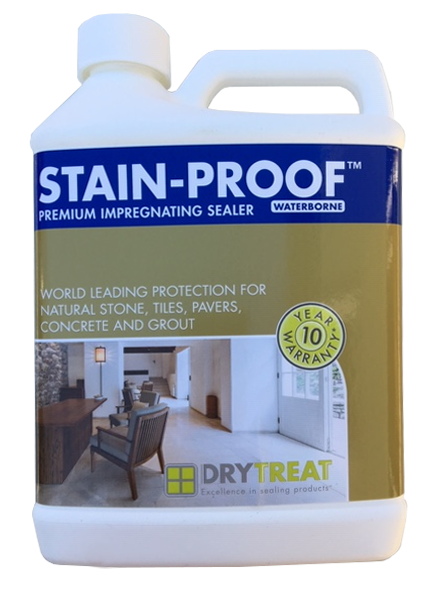 Premium-quality impregnating sealers are an essential part of surface protection, as they help keep porous surfaces safe from stains and structural damage. 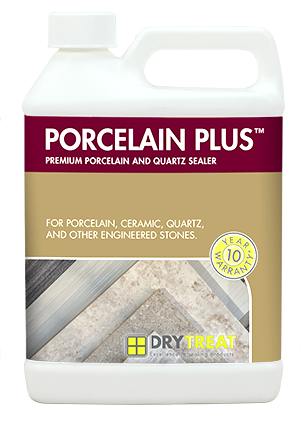 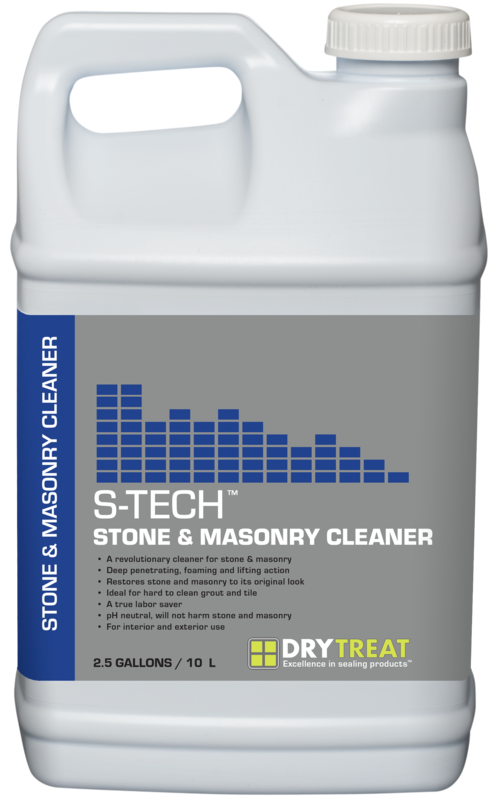 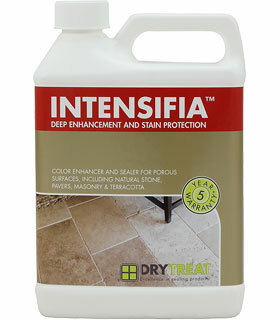 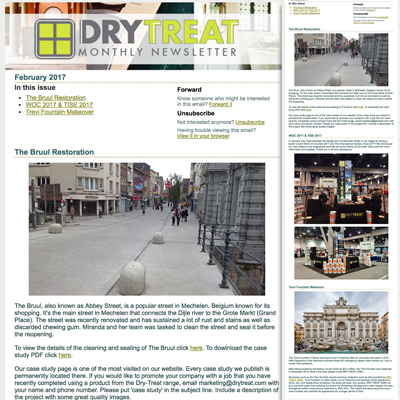 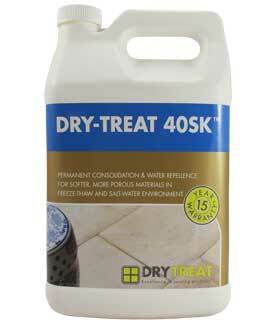 Dry-Treat is the world leader in the production of impregnating sealers for porous surfaces, providing surface treatment products for natural stone, tile, paving, concrete and grout. 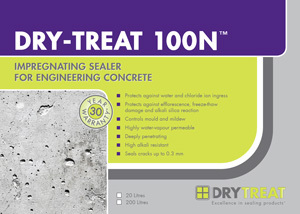 The chemistry of Dry-Treat's impregnating sealers is unique and offers superior penetration and permanence for unsurpassed surface protection. Unlike other surface treatments, Dry-Treat's innovative impregnating sealers are designed to penetrate much deeper into surfaces, permanently bonding with the pores within treated materials. 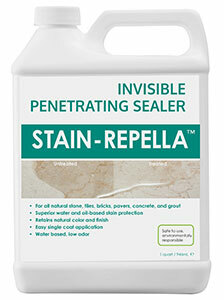 Our products are engineered to create a substantial oil- and water-repellent barrier. 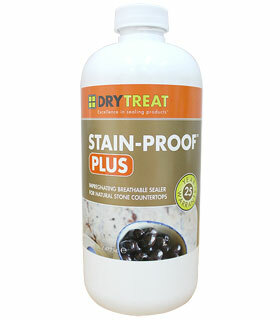 This barrier can not only provide great stone, paving, concrete, grout and tile protection from stains, it is also designed to defend against serious common structural damage caused by liquids. 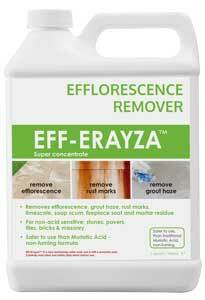 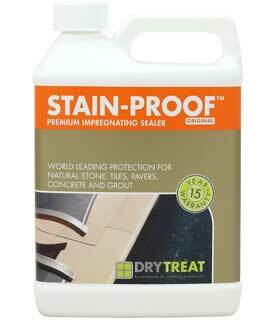 This includes protection from salt attack, efflorescence, freeze-thaw damage, spalling and picture framing. 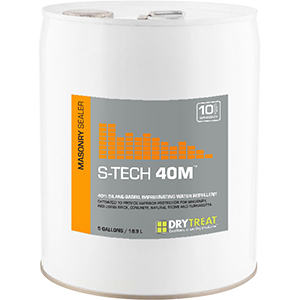 Not only can this make deep cleaning easier, it also gives your surfaces the protection they need to stand the test of time and continue looking great. 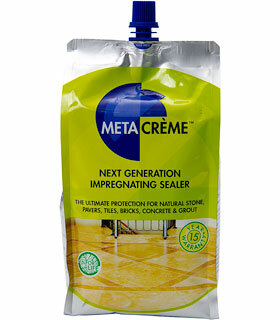 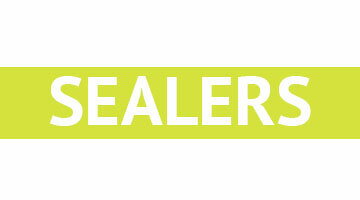 The type of high-quality impregnating sealer most suited to your needs depends on the type of material you're sealing, where it is located, what it is used for and what kind of surface protection you're looking for. 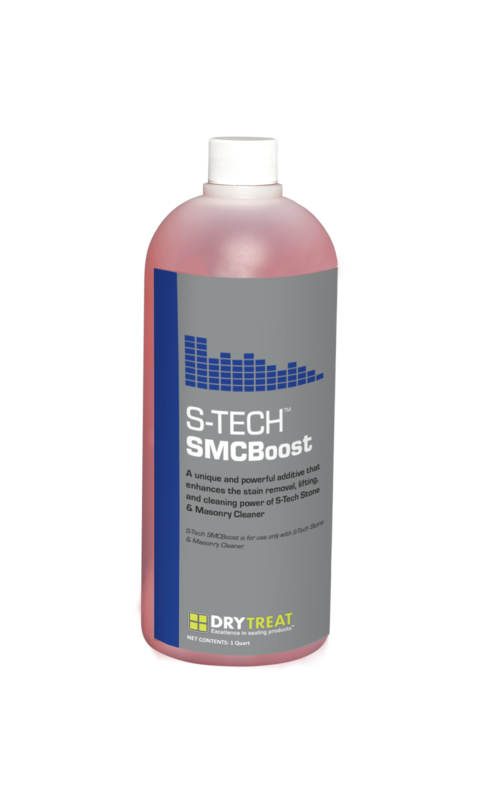 Some Dry-Treat products are designed for softer surface materials used in salt water environments, while others are specifically engineered to enhance the colors of the treated surface. 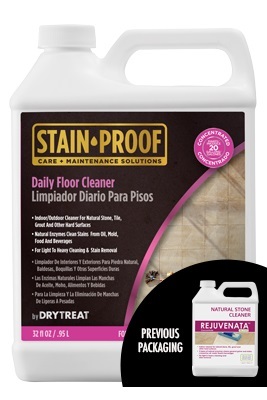 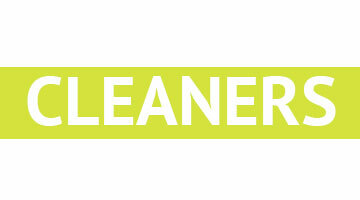 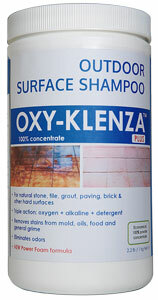 Still other products are meant for mild, everyday cleaning, while some are designed for heavy-duty deep cleaning. Regardless of which product you choose, each is engineered with the innovative Dry-Treat formula to offer the best in surface protection.